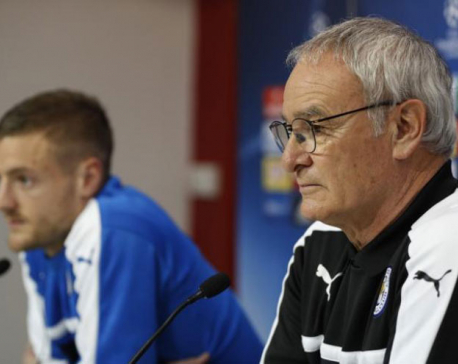 LONDON, APril 21:England coach Roy Hodgson backed Jamie Vardy on Wednesday, saying the Leicester striker did not dive in the incident that led to him being sent off last weekend and sympathizing with his angry response to the referee. Hodgson's employer, the English Football Association, charged Vardy with improper conduct over his reaction to the red card in Sunday's 2-2 draw with West Ham. 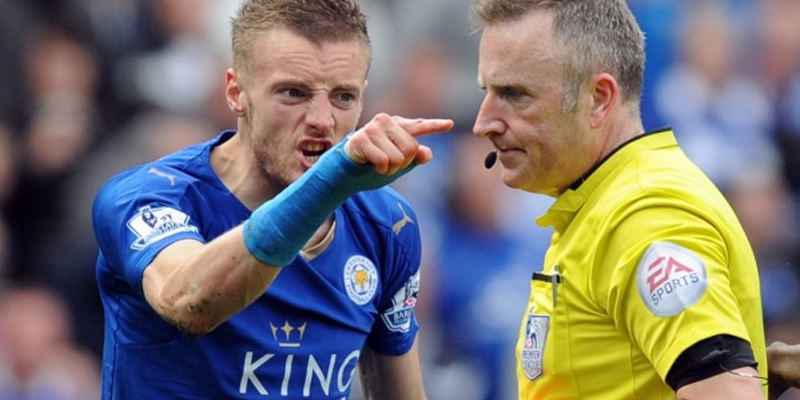 Vardy is set to have his standard one-match ban extended by the FA if he is found guilty. That could damage Leicester's bid for the title, with the team five points clear of Tottenham with four games remaining. Vardy, though, could now use Hodgson as a character witness. Leicester's top scorer tangled with Angelo Ogbonna before going down in the penalty area early in the second half. "I don't see that as a dive," Hodgson said. "I think he was unbalanced. I don't think it was a penalty either, I think he was unbalanced, running at that speed. "I think there was a very slight sort of contact with the defender, who was trying to cover." 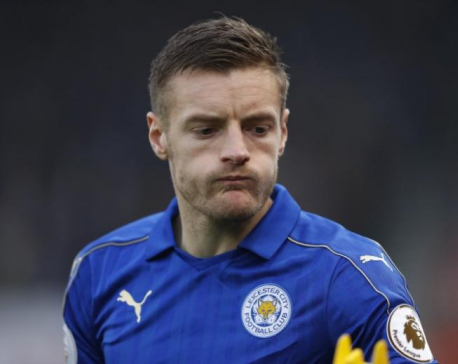 Vardy confronted referee Jon Moss, jabbing a finger at the match official while appearing to express his anger at receiving his first red card of the season. "I sympathize with him, I think he was very, very unlucky," Hodgson said. 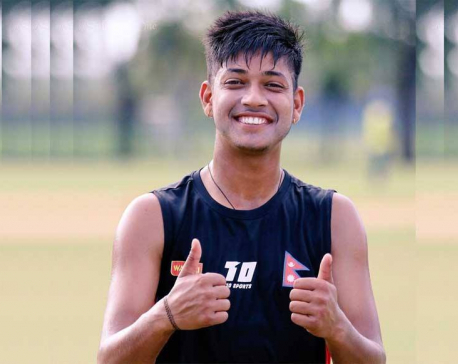 "But now he has had to swallow the fact that he has been made to leave the field and then, unfortunately, he has reacted like sometimes human beings react. "He hasn't just said to the ref, 'Thanks very much, I understand' and shakes hands and 'Have a good game'. He has called him a few names, but he is a human being and that can happen." Vardy seems certain to be in Hodgson's plans for the European Championship in June and July after leading Leicester's stunning pursuit of a first-ever top flight title, scoring his 22nd goal of the season before being dismissed on Sunday.